Your first graders need plenty of practice to master math skills like addition. 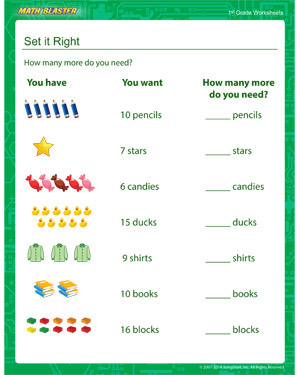 ‘Set it Right’ helps kids with various related number skills – counting up, understanding the relationship between numbers and their visual representations, and calculating how many more of a given object is needed to get a desired number. 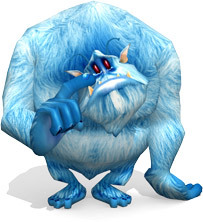 Download the printable math worksheet and help your students become masters at addition!